Welcome to the guide to Brazil that will help you quickly and easily discover where you need to travel to in Brazil (and how); and what you need to see and do while you are in the country. No fuss, no puff, just what you actually need to know to plan a visit to Brazil, be it on business or leisure. The pleasure – in Brazil – is a given. For Brazil the times really are a-changin’ and continue to do so. Brazil is one of the world’s largest and most politically stable democracies (despite what you might have been lead to believe otherwise with the 2018 presidential election) and, despite the recent global economic troubles, its economy is still doing relatively well on both the domestic and international front, and is one world’s biggest. 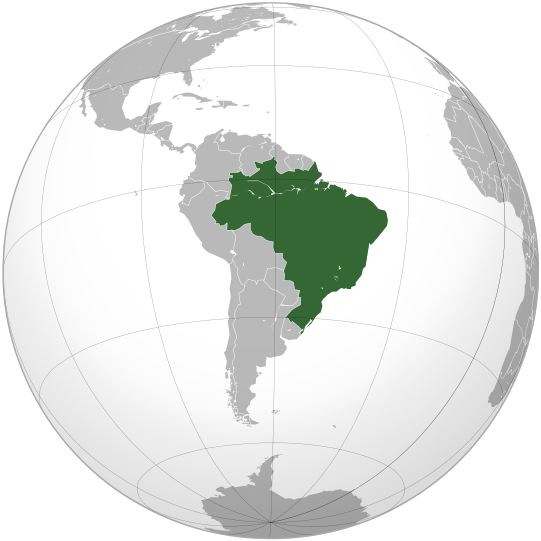 It was around 2000 that Brazil finally stepped out from the shadows to take its place at the top table, and not only as the regional leader in South America, both economically and politically, but also as a global leader. When Brazil speaks, people and governments around the world take note, often because Brazil’s opinions tend to be the impartial ones. Brazil, a country synonymous with the brilliance of its football team, hosted the FIFA World Cup between 12 June and 13 July 2014, a tournament considered to be one of the best cups ever, and the hosted the Olympic (5-21 August) and the Paralympic games (7-18 September) in Rio de Janeiro during 2016. Thanks to hosting the World Cup and the Olympics many more people from around the world got a small taste of Brazil and are now starting to visit the country and visit some of the places they saw on their television sets. On 1 July 2012, the city of Rio de Janeriro was elected by UNESCO to be a World Heritage Centre due to its iconic landscape and setting. It is one of 21 Brazilian World Heritage sites, 14 of them cultural and seven of which are natural. 2015 was also the 450th anniversary of the founding of the city. For a full list of Brazil’s UNESCO sites click here. Rio de Janeiro has aslo been named the World Capital of Architecture for 2020. There is no bad time to come and discover what Brazil has to offer, either for business or leisure. So let’s get down to the basics and to business, and introduce you to Brazil and the Brazilians. Note on the photos: To see any of the photos or graphics on this site in more detail, please simply click on the respective image. The Brazilian photos at the top of the site are randomly generated, so do not necessarily apply or relate to the topic on the page.For Terms & Conditions.